When you create your website, visibility (that is to say getting the best ranking possible for your website) remains one of the most challenging goals. Here are 10 essential questions to ask yourself so that your website gets the best ranking possible. The websites' indexing process relies on the regular analysis of websites by the search engines' robots. They browse your site on a regular basis but they may need some weeks to take your website's updates into account. To improve your search engine optimization (SEO), work on keywords and descriptions, set up a backlink strategy, register a domain name and check your statistics regularly. 1. Improve your search engine optimization: Do you own a domain name? 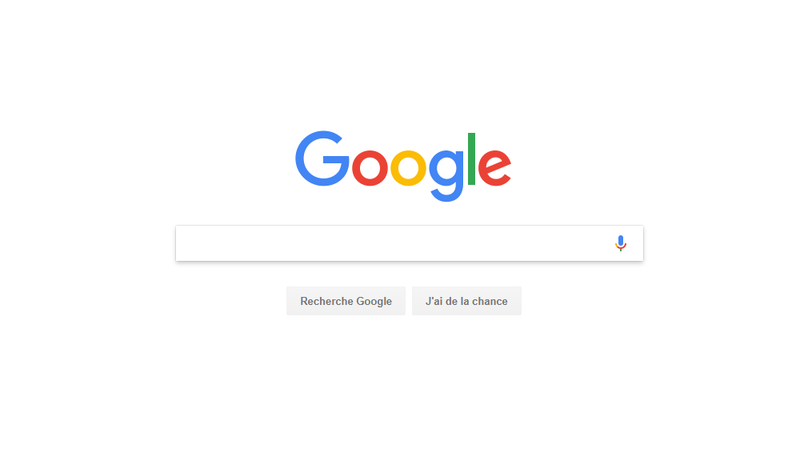 Since owning a domain is not free, Google gives more consideration to websites with a domain name. By choosing a regional extension, you will also increase your ranking in the selected area. To enhance your google ranking, you can choose a domain name for your free website (optional), your Premium website (1 included) or your Pro website (1 included). 2. Is your website regularly submitted to Google? 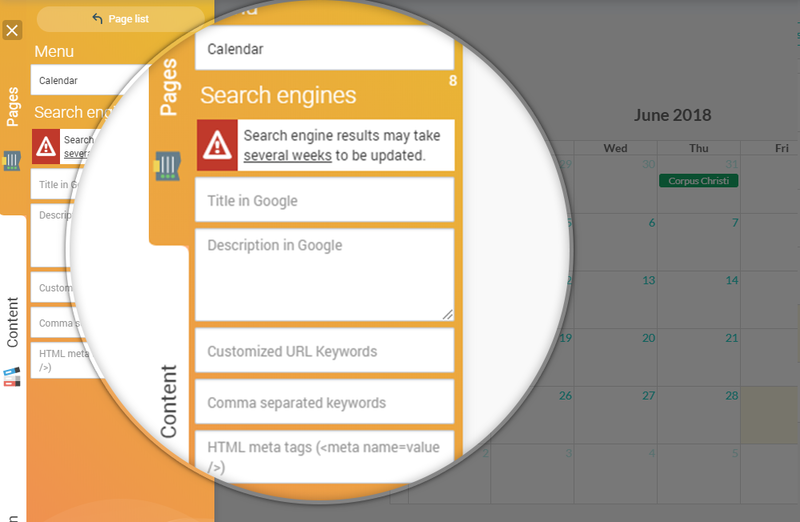 SiteW automatically submits your website to Google. This submission is free and is done every 30 days for starter plans, whereas it is done after each website update for pro and premium websites. To know if your website is in Google or when it will be, you can check the Google status line on the page My websites. Updating your website allows you to tell Google that your website is regularly maintained. This is appreciated by search engines. To easily add regular content to your website, you can insert a Blog or a Forum block. 3. Are your keywords well chosen? Google is a search engine which tries to organize its results from the more to the less pertinent. To be pertinent, a website must talk about the searched keywords and it must be popular for these keywords. So, you have to ask yourself: for which keywords can my website be pertinent? You can use Google Trends tool to verify and compare the most Google searched keywords. It will be more interesting (but harder) to target most searched keywords. There are billions of websites on the Internet and some of them are already really popular. So you must also ask yourself, what makes my website different from others? To choose your SEO keywords, you can add them on the page My websites by clicking on Settings and Search engines. Your SEO keywords must mainly appear on your pages' titles (especially your homepage's) and in the links to your website. 4. Did you personalize your page titles and descriptions? Google search results show the title of your website and pages, and the description you wrote. The latter should contain keywords (this is one of the most important criterium for Google to categorize websites) and be well written (because it will be available for reading on the search results). For example, begin your website and page title with a capital letter, choose an interesting and precise description which will give people interest in visiting your website. 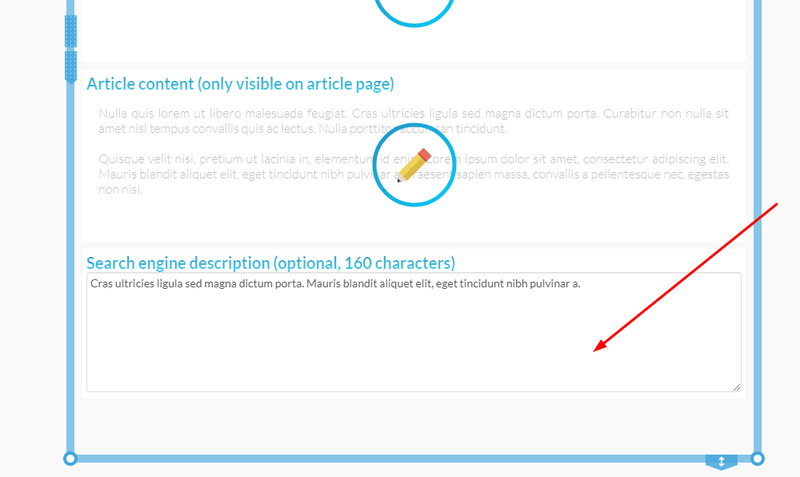 To modify your title and description, on the website building tool, click on a page name and then on Page details. You can also customize the default title and description for your website: go to the page My websites and click on Settings and Search engines. 5. Did you create links accross your pages? Beside the automatic menu which allows search engines to discover all your website pages, try to add links containing keywords between your pages (especially links pointing to your first page anytime you use some keywords in your texts). This will inform Google that the linked page is about those keywords. To insert SEO links on your website, follow the steps in the question How to insert a link in my website? of FAQ. 6. Are your keywords sufficiently present on your website? Texts on your website must clearly use your keywords and associated expressions. Do not hesitate to repeat these keywords and bold the important ones. Today, search engines consider words of the same family quite equally: so keep your sentence natural (for exemple free and freely will be considered of the same family). Caution, avoid adding keyword lists to your website or hidden keywords. This may be considered as spaming by search engines. Remember to use keywords and longtail keywords. If you need some advice concerning keywords selection and placement, you can read our guide: How To Use Keywords For Search Engine Optimization? 7. Did you add descriptions for your images? Since Google cannot see images, it is not possible for it to index correctly pages which only contain images. Do not hesitate to describe your images and galleries by using keywords. 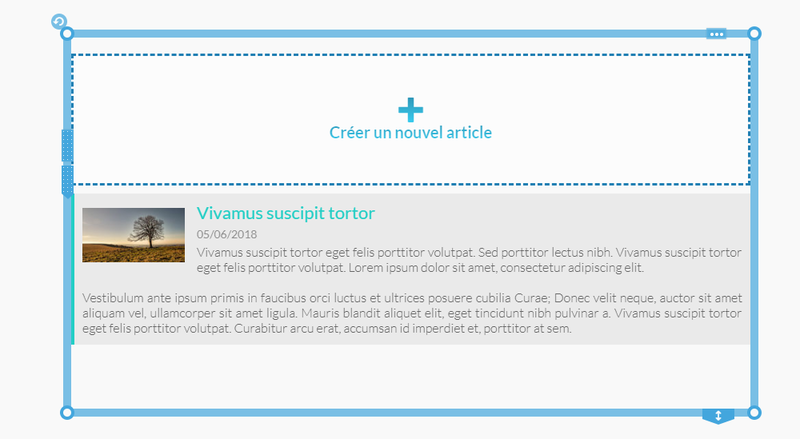 To describe an image, just use a text block in which you will enter the SEO description. 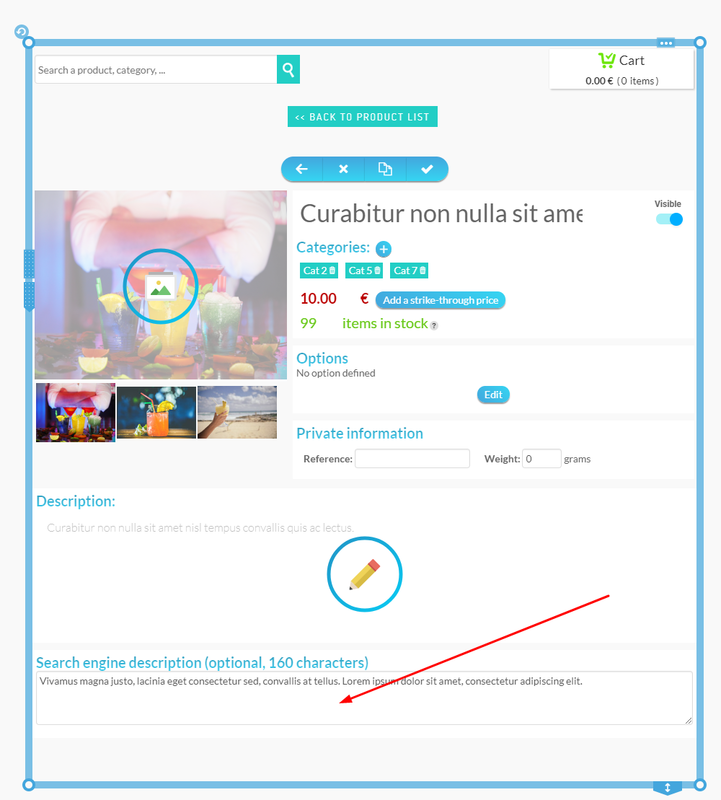 With SiteW, you can also add Alt-Tags to your images, that is to say meta-descriptions specially for search engines, that will allow you to improve your image ranking. 8. Did you add Meta-descriptions? SiteW offers Premium and Pro users the possibility to customize their page SEO. To do so, go to the website modification page, select the desired page and click on ☰, then on SEO. Next, you just have to fill the fields and customize your pages’ urls. 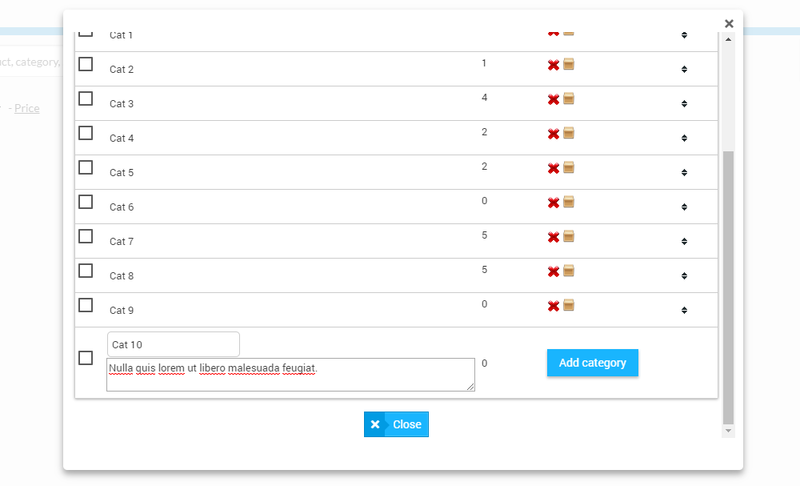 With SiteW, you can also add Meta-descriptions to your blog pages, as well as to your products and online shop categories. This allows you to optimize the ranking of your blog and online shop. 9. Did you look for partners or themed directory? By adding your website to other websites which are talking about the same subject, you will speed up the initial indexing of your website and you will improve the popularity of your website for this subject. These links will have a positive impact on your pages’ search engine optimization, they are called Backlinks. 10. Do you follow your website ranking? SEO console: Follow the indexation of your website in Google, the content seen by Google and find the sites linking to your website. Google Webmaster tools: These tools allow you to follow your ranking on Google. You can see which keywords give you visits and you can optimize your website accordingly. Detailed visitor source: Premium and Pro statistics have access to detailed reports on the referring websites and on the keywords used in search engines to find your website. Google Analytics: you can easily add your Google analytics tracking code on your SiteW dashboard. That way, you will be able to check your website statistics. With SiteW, you can easily add all Google services (Google Webmaster Tools and Google Analytics) to your SiteW dashboard. Go to Increase Google rankings with Google Webmaster Tools or Install Google Analytics on your website. To get detailed information on the Premium and Pro offers, check our website creation comparison or upgrade your website. You’ve just read some interesting SEO tips to improve your search engine optimization. By following these simple steps, you’ll manage to get the highest rank possible and to reach the top of Google.